MADRID, SPAIN—The restaurant Viva Madrid, where Jose Rizal and his fellow ilustrados used to hang out, is still open on Calle Fernandez y Gonzales; it was founded in 1861 (incidentally the year our national hero was born). The dinner there—tapas y vino tinto—was a fitting end to a day of retracing Rizal’s legacy in the Spanish capital. That afternoon I visited Rizal Park, which looks very similar to our own in Luneta—but with the advantage of not having a Torre de Manila behind it. As a graduate student at the University of Amsterdam, I made it my “side quest” to follow Rizal’s footsteps in the continent where he, too, once studied. From grade school onward we had been taught a lot about Rizal, but I was eager to study him in a different light. 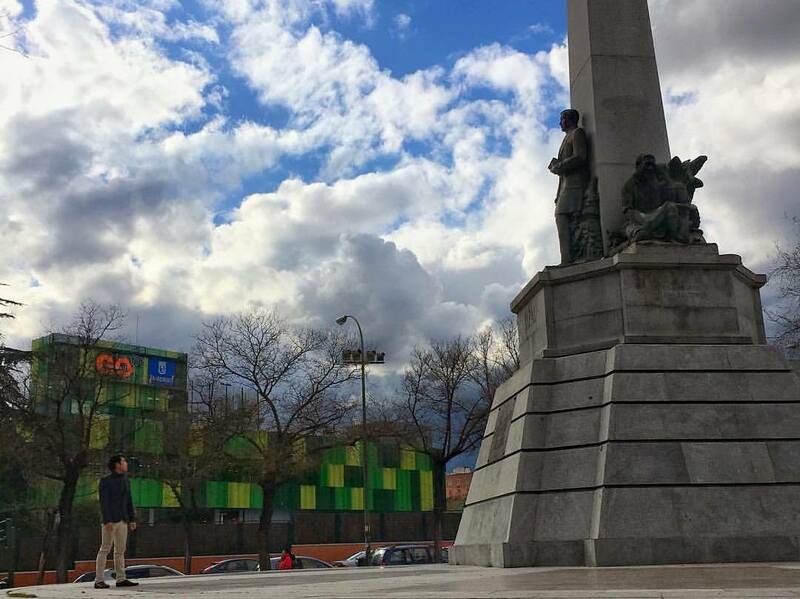 What can we learn from Rizal the traveler? Rizal never managed to visit the Netherlands, so my quest began in neighboring Belgium, where he published “El Filibusterismo.” That he had to delay the Fili’s publication due to limited funds speaks of the difficulties faced by our hero; but at the same time, he showed much diskarte during his stay, managing to publish articles in La Solidaridad and even go to the gym. Paris featured prominently in his travels: He was actually there when the Eiffel Tower was inaugurated in 1882. Although our hero was mesmerized by the “City of Lights,” what must have struck him more were the French ideals of liberté, egalité, fraternité—ideals that doubtless influenced his writings and aspirations for the Philippines. One of my memorable Rizal-inspired trips was to the German towns of Heidelberg and Wilhelmsfeld, where our hero stayed with Pastor Karl Ullmer and his family. Lingering in the small park that the town had put up for its illustrious guest, I pictured Rizal practicing German, writing “Noli Me Tangere,” wandering in the Odenwald hills—and I could only marvel at the genius of the man who saw no boundaries. In his travels across Europe, Rizal reminds us that we cannot harbor a simplistic view of the continent, which, from Paris to Prague, from Riga to Reykjavik, has had a diversity of experiences. Instead of looking at it solely on imperial terms, we should realize that some of the ideals that inspired our revolutions actually came from it: Europe itself, after all, was a colony of its kings. And If Europeans are vocal about human rights, perhaps it is borne of their past, which, like ours, was full of unspeakable suffering. Rizal also commends us to ensure that wherever we are, our hearts should not be far from home. When he was in Brussels, he wrote about building a school in Calamba; when he was in London, he wrote to the women of Malolos. The Philippines was always his reference point, and today, with more and more Filipinos going and living abroad, we have much to gain if we allow other countries to inspire us about what can be done for our own. Finally, Rizal in his European journeys exemplifies the importance of an international outlook: one that strikes a balance between patriotism and the idea of a universal brotherhood. Faced with the splendor of Europe and the varying attitudes of the people he met, Rizal felt neither insecure nor resentful, even if he had plenty of reasons to feel that way. Instead, he took a more enlightened path: learning as much as could, opening himself to new experiences, communicating his ideas in reasoned tones, and building friendships along the way. As we mark his 156th birthday on June 19 and as our nation undertakes a much-needed conversation about our national—and postcolonial—identity, Rizal’s legacy can continue to inspire us. May we follow his footsteps not just in Europe but throughout the world.